Get any shirt in the Tshirt Laundry catalog for $14 from now through December 20. 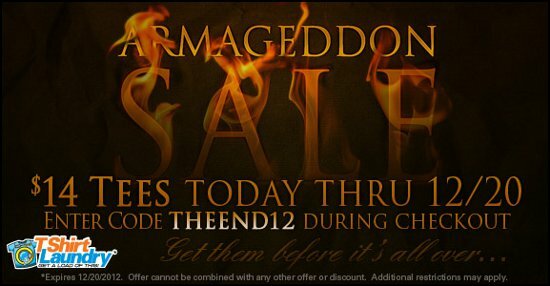 Simply use code THEEND12 at checkout to capitalize on this marvelous deal. Hi, Rod. I’m sorry to hear that your back is still hurting you. I hope it cuteinons to get better. I hope you enjoy the rest of your week. I look forward to seeing ya on Sunday!! Take care. Kisses! !